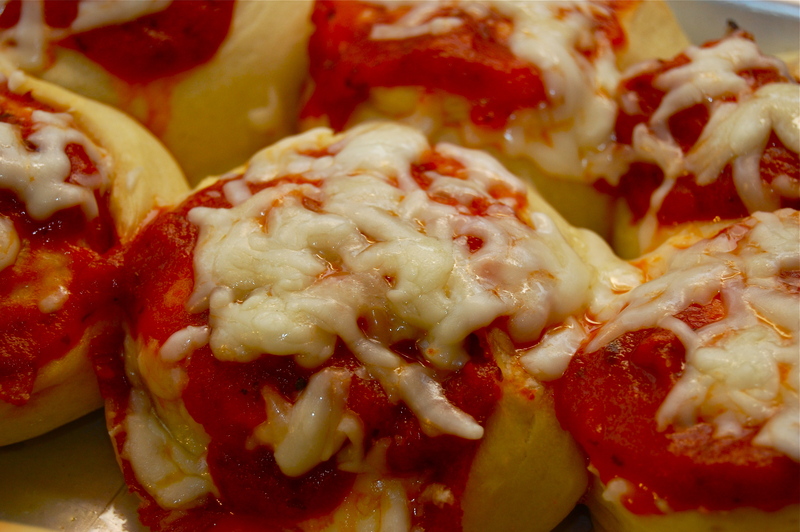 I was inspired by a recipe I found on King Arthur’s website (if you’re a baker…it’s an awesome site for all kinds of baking supplies and recipes) and came up with my own version of pizza rolls. They were a hit with the kids! Preheat oven to 400 degrees. Make bread according to recipe. After first rising, spread dough out on a greased surface. Sprinkle 2 c of cheese over dough. Layer on meat (I used some pepperoni on half and salami on the other half). 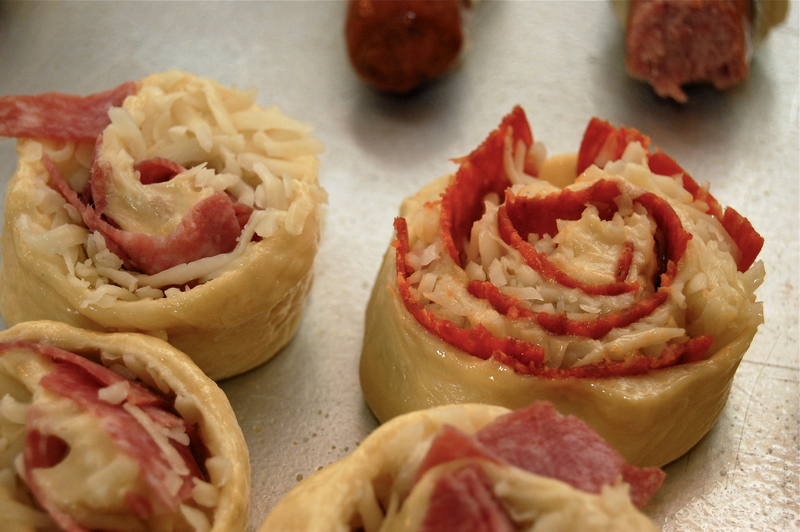 Roll dough jelly roll style….like you would for cinnamon rolls. Seal end and edges. 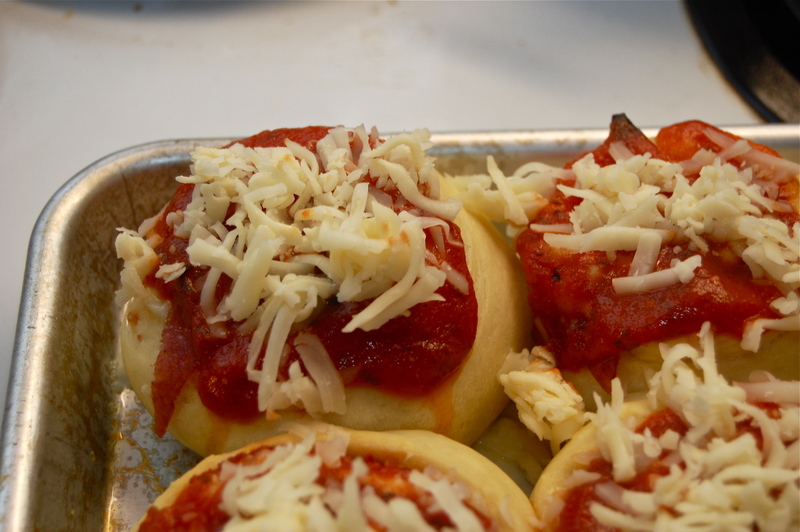 Using a sharp knife, cut dough into rolls. Place on greased baking pan and lightly press down. Let rise for another 20-30 minutes. Bake for 10 minutes and then remove from oven. Top each with a tablespoon of sauce and a sprinkling of cheese. Bake again for another 2-4 minutes or until cheese is melted.